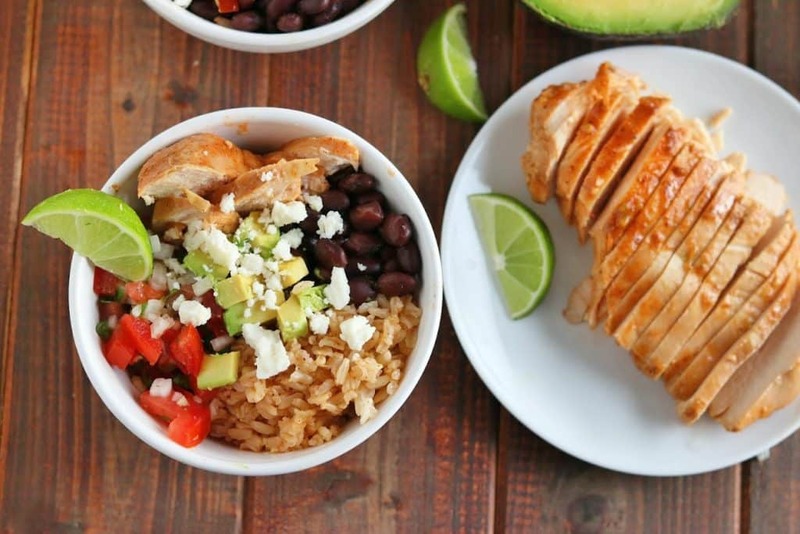 Full flavored, slow cooked chicken pairs with black beans and homemade pico de gallo in these Mexican inspired rice bowls. Great for weeknights or any time! I love rice bowls, who doesn’t? It’s a whole pile of deliciousness right there ready to be devoured. With a hugely busy weekend ahead, I like to stock my fridge with things that we could make these bowls with, while we ran around doing a million and one things. The chicken is cooked in a crockpot (woohoo!) with some enchilada sauce, and some seasonings, then is cooled, sliced and added to a bowl with rice, black beans, pico de gallo and some cotija cheese. I pour some leftover juice from the crockpot over the rice and chicken, but that’s MY ideal. The glorious thing about making these bowls is – everyone can customize to their own tastes. You just provide some ingredients that will work well together, and people can add as little or as much as they like. Again, I’ve teamed up with Veetee USA to bring you my latest creation. I am so in love with their rice (as seen here and here). It’s awesome for not having to worry about cooking rice, and can be used in so many ways. I used Veetee Whole Grain Brown for the rice component. Once my chicken was done and my toppings ready, a quick trip to the microwave, and I had perfect, hot and fluffy rice ready to go in my rice bowls! Brown rice can take forever to cook, so it’s awesome to have it sitting there fully cooked ahead of time! I whipped up a quick and delicious homemade pico de gallo. Fresh ingredients paired with slow cooked meats makes the whole dish taste AMAZING. 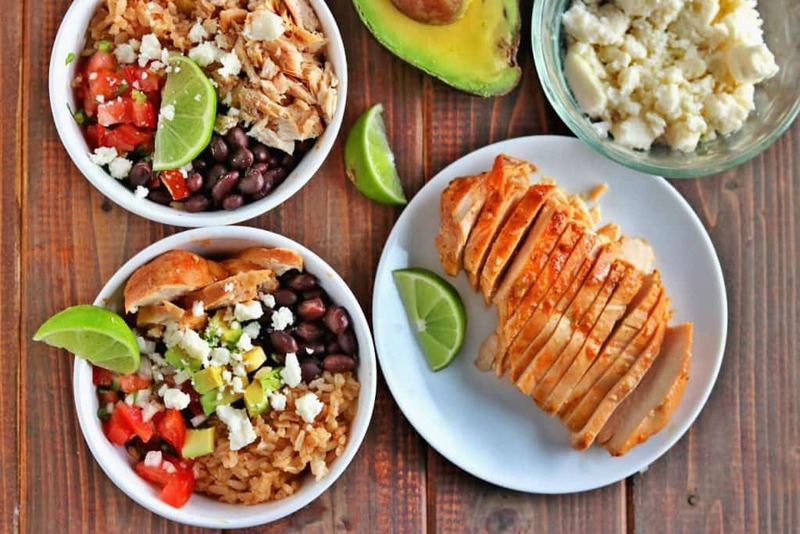 What kind of ingredients would you put in YOUR mexican inspired rice bowls? Reply below in the comments – I’d love to hear your ideas! 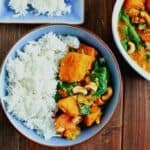 Want more Rice dishes? Of course you do! Blend the enchilada sauce, chillies, broth, cumin and salt in a bowl. Add the chicken to your slow cooker, cover with the onions. Pour the enchilada sauce mixture over the top of the chicken and onions, and move around gently to ensure the chicken is covered. Cover, and cook chicken in slow cooker on high for 3 hours, or low for 5 hours. Remove chicken and let cool slightly. Reserve the sauce. Slice the chicken, ready for serving. Heat the Veetee Dine In Rice according to package directions. If desired, mix some of the reserved sauce from the chicken with rice. Heat black beans to desired temp. 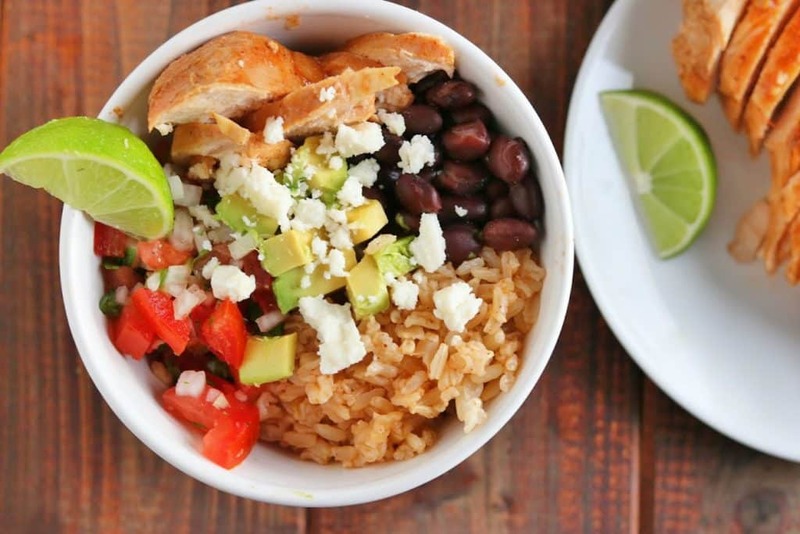 Build your bowl: Rice, black beans and chicken. Pour extra sauce over the top (if desired). Top with pico de gallo, cotija, avocado and extra lime wedges. You’re going to want to pin this for later! You have mastered the Crockpot. My Crockpot chicken never comes out looking like that! Such beautiful pictures. This recipe looks so good I wouldn’t know where to start. Love these bowls of goodness! I would love to put a Mexican style of pulled pork in my rice bowl with lots of fresh herbs and spicy salsa. 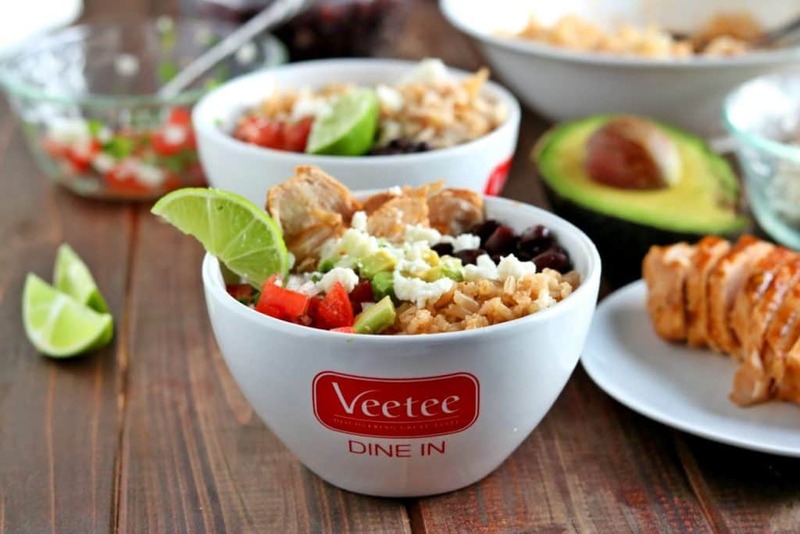 Love the veetee bowls too, they’re so cute. Beautiful pictures and idea! I think I would try the chicken, as you did, the go to some shrimp. Thanks. Such beautiful pictures. 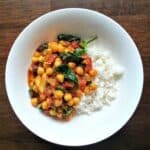 This recipe looks so good I wouldn’t know where to start.Love these bowls of goodness!I would love to put a Mexican style of pulled pork in my rice bowl with lots of fresh herbs and spicy salsa. Love the veetee bowls too, they’re so cute. Thanks so much! 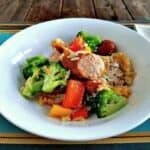 They’re a fun way to enjoy some bowls family style – I just add all the stuff to the table, and let everyone at it!